Wander Like Water Kicks off Mississippi River Expedition! People living in the same community are 65% identical. That’s because over 65% of the human body is made of water, and neighbors drinking water from the same source share more in common than they realize! Unfortunately countless Americans cannot name the river, aquifer, lake or ocean their water comes from. A married couple from Texas hopes to change that. Sarah and Patrick Houston with Wander Like Water (YouTube) embark on a bicycle tour down the Mississippi River starting August 2, 2017. 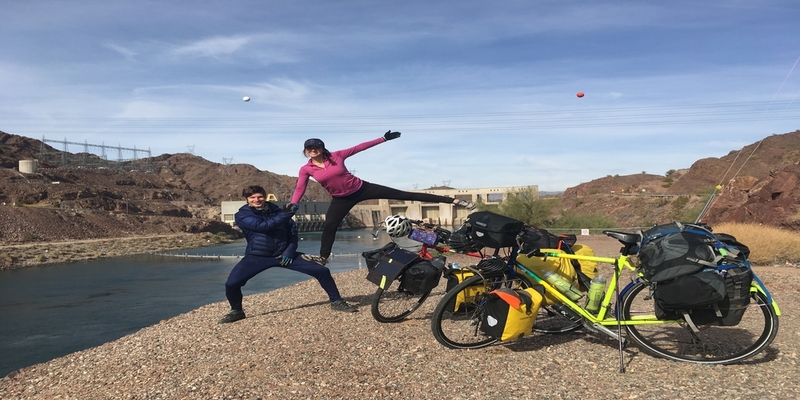 The couple will ride and camp over 2,000 miles to connect you with one of the most important watersheds in the United States. Starting at the headwaters in Northern Minnesota down to New Orleans, Louisiana, Sarah and Patrick will monitor water quality using EarthEcho Water Challenge test kits and share their results through our global database, as well as through their social media platforms. Their previous journeys focused on water conservation along the Colorado River, down Mexico’s Baja California, and around two Hawaiian islands. But the Mississippi moves the conversation to quality. The River has been a chemical waste dump since the Industrial Revolution. High amounts of fertilizer and nutrient runoff cause deadly red algae blooms in the Gulf of Mexico each year. The Mississippi River is the drinking water source for over 18 million people, touches 10 states and its watershed covers more than 40% of the United States. Wander Like Water aims to create a connection to the River that so many have lost! Sarah and Patrick will be interviewing people with unique connections to the Mighty Mississippi. Through YouTube, Facebook, Instagram, and Twitter, they will bring you local knowledge of the health and wellness of the River and populations that rely on it. They want to share where the water quality differs throughout the basin and how the local treatment facilities are keeping residents’ water safe to drink. Join them on Facebook Live at 2:00pm CST on Wednesday, August 2, 2017 as they pedal, cartwheel and swim in the headwaters of the Mighty Mississippi!